Oh, and parenting websites. Those too. If you’ve dug around my blog at all, you’ve probably seen quite a few references to my philosophy of “Question Everything.” And if you follow my work, you know that I run a number of parenting websites (via facebook, mostly). And if you’ve followed me on Facebook, you probably know that I’m working on a couple of books that would definitely meet the definition of “parenting books” (like we need another one, I know.) And yet here I am criticizing the genre? Listen up. This is the moment when all of those things come together. Because while you might think that those are all separate pieces of advice, and that surely I don’t mean ME (or what I write) when I talk about questioning everything…you’d be wrong about that. Yes. 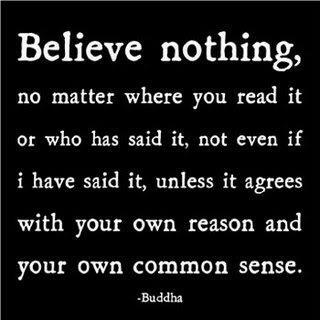 Question EVERYTHING. That includes me, and what I write. There’s nothing I love more than thinking people, and there’s no clearer evidence of thinking people than when they question an “expert.” Bravo. Really. And yeah, all the rest of ’em, too. The parenting books, the blogs, the parenting websites, the advice from others, the therapists, the pediatricians–all those people with all their degrees and all their experience. Question. Wow. Wait. I realize that I sound like one of those people who say “Whatever you do, don’t listen to anybody–especially the “experts”–about your kids; you know best.” And I really hate it when people say that, and how they put the “experts” in quotes, as if there is no such thing as a field of expertise in child development. Sure, there are people with expertise in heart surgery, people with expertise in plumbing, people with expertise in bridge construction, people with expertise in matters of the law, people with expertise in mental health. But there is no such thing as expertise in child development? So offensive (and no, we won’t get into the structural and political reasons for this noted exception…that’s for a whole ‘nother blog to take on). And yet I sound like that’s what I’m saying, don’t I. So let me clarify. Perhaps it would be simplest to say there is a world of difference between “no one knows anything, you know best” and “listen to what others say, take it in, thoughtfully consider it, maybe experiment with it, and then figure out which pieces make sense to you and work for you and reflect your values and which pieces do not…and ask lots of clarifying questions along the way.” I mean…what I’m trying to say is…. No. Never mind. That’s about as clear as i can get. I’m talking about the second one. More like this. So, we’ve got that settled. Great. 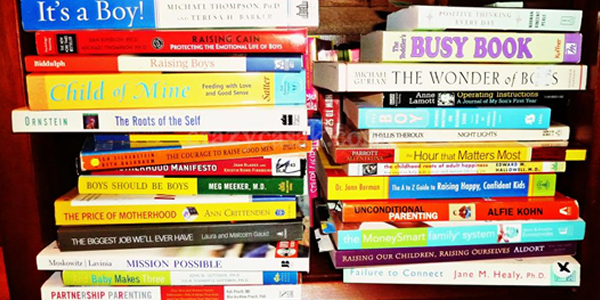 There is so much to talk about on this subject, but today, I want to focus on one particular thing, one particular problem with parenting books and websites, one particular challenge that I run into in my work over and over again. Something that parents really really want (and need) an answer to. Namely, “what to say” and “how to say it.” Words. Let me explain. I’m not talking here about the classic “what to say”, like we discuss in the What do I Say group on facebook (check it out if you haven’t been though, great resource, terrific people). I’m not talking about what to say when your child asks when his baby brother is going back to wherever he came from, or what to say when your child comes to you crying, saying someone hurt their feelings. Hmm. Or maybe I am. What I’m talking about is the words that we put into play when we are trying to practice something that we have been taught or that we wish to emulate. We read about “active listening,” “reflective listening,” “sportscasting,” “growth mindset,” “building intrinsic motivation“, wording and tone to use when refereeing a conflict between siblings, and on and on. The books, the websites, the blogs, they all give us the “right things to say”–and they sound great. “Yes! That’s just what I was after! I’m going to try that!” And then we do. And it doesn’t work, either at all or certainly not in the way that we thought it would. And then, we’re lost. And frustrated. I see evidence of this all the time in the respectful discipline workshops that I teach. I can’t count the number of times that a parent or a nanny has said “Ohhhhh! There’s a HUGE difference between the way you’re saying that and the way I’ve been saying it!” or “Oh! I’ve read all the books about this, but I never got it before” And they don’t usually mean just my words. They mean the words, the intonation, and the facial expression and posture that accompanies it. And none of those things are found in parenting books or websites. That’s the problem with parenting books and websites. And it’s quite a problem. There have been those have tried to take this challenge on. Laura Markham does terrific videos, so you can see what she does–though for some reason, even though I’m a big fan of her work and agree with what she is demonstrating, many of them feel somehow too complex to me–maybe a bit more like therapy than parenting, not easily carried off by many parents. (There’s that questioning again). Janet Lansbury, whose work with RIE I also respect greatly, has offered some audio clips, so that you can hear how her suggested phrases sound. Those have been good–but again, the posture and the facial expression are not there. Patty Wipfler and the many wonderful instructors at Hand in Hand Parenting–what a tremendous resource they all are–frequently offer podcasts and videos. Those have been the closest thing to what I’m describing…and yet, even then, I find that parents often want very brief, specific, “illustrated” examples of how to say one short phrase (i.e. “what exactly do I say when he hits his brother”) without a full discussion of the reasons why the hitting is taking place, shifting your frame of reference around “bad” behavior, etc….all things that are still really important to me as well, and yet still, not quite what I’m talking about. So, Robin, what you’re saying is that there is no substitute for in-person, one-to-one, face-to-face interaction and demonstration? Yeah. That’s what I’m saying. We learn by modeling. Just like our children. Completely and totally unhelpful in the context of a blog, a written form that embodies all the deficiencies I’ve just described–I know. And yet, I still think we need to talk about it, so we can begin to acknowledge the gap that exists. I find it just as hard to respond to a “what am I doing wrong?” without seeing and hearing for myself what the attempts have looked like as I do to communicate an alternative in writing. And yeah, maybe I need to get on it and make some videos that address the gap. I’m working on it. I’ve been trying this since going to a talk on growth mindset vs fixed mindset and every time I tell my fixed mindset son, “Well done, I see you tried really hard with that,” he retorts, “No I didn’t!.” Grrr! Where did you get the phrase or wording that you used?” From a book? From an article? From your own sense of what phrasing sounds most natural coming out of your mouth? Have you experimented with other choices of words? If so, was the response the same? Does he always respond in that fashion? When did you say it to him? Was it in the moment of his frustration? Later on, when his frustration had passed? Was he hungry? Tired? Had he been working on the task for a very long time, or was it a comment he made in passing, with very little effort expended on the task so far? Is there a chance that he is correct, that he didn’t really try very hard (by his definition)? What was his week like? Had he had a string of satisfying, successful experiences, and this challenge was an exception, or vice versa? What was your facial expression like? Were you looking directly at him? Were you at his eye level? Were you physically close to him? Does he like that, or does he have a larger physical space, preferring people to be a bit further away? Did he look at you for comment, or did you insert yourself? What sort of response did you expect? What would have felt like he had taken it in? What did you say after he said “No, I didn’t!” Did you leave feeling like “well, that didn’t work!” or did you leave feeling like it might be having its intended effect with or without his resistant response? This, my friends, is what is sometimes called overprocessing (or perhaps you’re thinking “the third degree”) In less friendly circles, nitpicking. No argument from me there, though I surely don’t mean it to sound like an inquisition. I recognize that in writing, it does look that way–the thing to keep in mind is that it doesn’t work that way inside our brains. Once we make a habit of it and make the questions second nature, it’s very very fast, not a slow reading of one question after the next. As I said at a training for nannies that I did last weekend, when I see an example or watch someone demonstrate the way in which they said something, I go through those questions–yes, all of them–in about ten seconds. It’s not overprocessing at all–or okay, maybe it still is–but it’s automatic…and fast. It’s the cognitive equivalent to coming back empty-handed from a fishing trip and saying “they just weren’t biting, I guess” vs examining (even if internally, even if never said out loud) whether you were playing music loudly, the time of day, how fishing has been in that spot recently, what sort of bait you were using, how long you were out, etc. So many factors matter in whether it “works” or not. So many possible “tweaks.” So many possibilities to experiment with. That’s really all I’m after here. Encouraging wondering. Authenticity is key. If the words don’t sound like something you would say, if they are halting coming out of your mouth, if your intonation doesn’t “seem like you”, if it sounds like “something you read in a book”, they won’t buy it. And if they don’t buy it, it won’t work. Reflective listening works at every age–and it most definitely takes practice. For infants and toddlers, it works to sportscast, to simply say what you’re noticing. Preschoolers often don’t like that. Some books will tell you to use the phrases “It looks like…” or “You’re telling me…” or “You seem..” For some kids, those work. For some kids, they sound patronizing–and the incidence of that response rises exponentially as they get older. The key is to take all that they are expressing and condense it down into a short, one sentence message, and reflect that message back. It takes a lot of practice to do that condensing or translating on the fly, but the more you practice, the easier it gets. Your kids will tell you if you’re getting it wrong, you can count on that. Don’t freak out, just take it as a valuable piece of information, and try to say it differently next time. It’s still good even if you’re not saying it like they said it in the book. This goes along with the authenticity. If you find a way to say what you want to say that sounds like you and feels like you and is different from what it said in the book but achieves the same basic goal that you’re after…USE IT. Do it (or say it) because your child is letting you know (in one way or another) it’s what they need. Don’t do it because the book says to. Everything has a time and a place. It depends. Always. It depends on age, developmental stage, time of day, your child’s personality, your personality, your resources and emotional state, your child’s resources and emotional state, stress factors (new school, new baby, new house, sleep disruptions, divorce, death in the family, difficulties with friends), how close or far away you are from one another (the same phrase works close up that does not work shouted from the kitchen), and about a hundred other factors that you totally don’t have time to think about, so don’t think about them, except consider–when and if it “doesn’t work”–whether there might be something going on that you didn’t think about before, and use it to inform the next time. It depends. It always depends. And the trickiest one of all…. Your need to be convinced yourself, and that needs to be reflected in your internal state–children take in our emotional state, not our words. In other words, if you’re not convinced, they won’t be convinced. If you say “good job” (a phrase I don’t care for, but which we all seem to use from time to time) after a softball game, but you feel like they didn’t do their best, they will hear “you didn’t do your best.” Crazy, no? If you say “I know you can do it” but you communicate through your hovering or even through your silent and private thoughts that maybe they can’t do it, they hear “I know you can’t do it.” I know. They’re omniscient. They can hear what you think and what you feel, and it’s much louder than any words that come out your mouth. That’s what makes this whole parenting schtick such a challenge. Parenting books and websites and videos tell us what to say and do. We say it and we do it and it doesn’t work because it doesn’t sound or seem like us or because we doubt ourselves or our children and then we get convinced that the “experts” are wrong. Or we begin to feel overwhelmed at the idea that parenting is more about changing our own internal state than it is about influencing our children’s internal state, and oh man, we don’t want it to be about us, we didn’t sign up for that. It is overwhelming. For all of us. Every effort that you make–to use language to facilitate connection, to support the development of empathy and intrinsic motivation, to set limits respectfully–is a valuable effort and a powerful opportunity for learning. “Do you know that every time you do something that is hard, your brain wires go ‘zing’, light up, and connect?” Yeah. For us, too. This entry was posted in communication, conversation, emotions, expression, language, listening, parenting, questions and tagged aha parenting, carol dweck, child development, critical thinking, don't listen to experts, hand in hand parenting, janet lansbury, language, laura markham, mindful parenting, modeling, parenting books, parenting websites, question everything, thinking for ourselves. Bookmark the permalink.